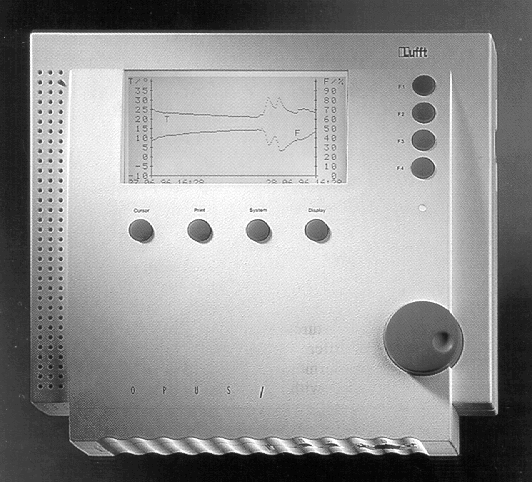 The OPUS-1D by Lufft is not just another dataloger but an electronic thermo-hygrograph. If you want to see what the temperature and humidity is currently, or over the past day, week or month, you no longer have to remove the unit, take it to a down-loading site, and process the data. With the built-in LCD graphic display of the OPUS-1D, you can review any and all of the collected data on site with the touch of a button. When you do want to down load data from the unit, the SmartGraph PC evaluation software will handle this task with ease. The SmartGraph software allows the user complete flexibility to process all collected data. You can display the data in either graphical or tabular form, set alarm functions, zoom in and out on specific data points and much more. The OPUS-1D comes complete with built-in temperature and humidity sensors, RS232 connection cable, SmartGraph Software and batteries.